A warmly bittersweet film about the last hurrah of legendary comedy duo Laurel and Hardy, Stan & Ollie is a film that invests you with the double act with just how involving, funny and poignant it is. We begin in 1937 when Laurel and Hardy are at their peak, but even here they are still paid less than the other stars. Stan wants to get out of his contract with producer Hal Roach, as he doesn’t feel appreciated by him. Oliver wants to keep things as they are and not rock the boat anymore than it needs to be. This instance will be one that plays an important part later in the film. Fast forward to the 1950’s, neither man is at their height of fame anymore. But each has been persuaded to go on a music hall tour in the United Kingdom. Stan, who is the one behind the jokes and material of the routines, hopes what they ear in money can be used to finance a picture Stan wants to do. Oliver is in bad shape and not really a well man, but agrees to reform again. As they soon discover, it’s hard getting back out there because new talent has come along and captured the imagination of the public. The shows begin with not many people showing up in the audience, which doesn’t go unnoticed. Plus, various issues that have long remained dormant threaten to overshadow the tour and tear apart a friendship. But over time, the old magic comes back and the road looks set for a return to form, aided by the support of two sparring wives . Though spanners are thrown in the works, like Oliver’s failing health and with the history of the two, it could just be one last hurrah for the legends of comedy that are Laurel and Hardy. Jon S.Baird is clearly crafting an affectionate but also revealing portrait of the legends and boy does he ever deliver. Along with the clever script that deftly mixes humour and pathos from Jeff Pope, Baird really dazzles with his warm-hearted but still bittersweet approach to behind the scenes of the lives of the beloved team. Of particular note is the virtuoso opening sequence in one shot of the team in their prime walking through the backlog of a studio, while they deliberate their contract with the slimy Hal Roach . Once the cameras roll, they are the Laurel and Hardy of legend, but there’s more going on behind the stage. The balance between the two elements of emotion and laughs is held neatly and makes the film flow amazingly. Nowhere is this more apparent than in the public argument between the duo which is filled with personal feelings of anger, but mistaken by onlookers as just part of their humorous act. In fact there are many instances of Stan and Ollie slipping into the public image that everyone knows in order to save face or escape from the harshness of life. The humour mingles with the melancholy and has you glued as Stan and Ollie realise that they need the other, despite buried grievances from the past. Credit must go to the staging, editing and make up, that make both lead actors the image of the great comedic duo. The recreation scenes from the movies of the stars is also a stroke of genius and is so precise and well realised. It leaves you smiling and with a lot of feeling, like all good movies should. A music score that is by turns deep and by others light, perfectly embodies what Stan & Ollie is going for in terms of audience feeling. I must admit in finding any fault with this movie as it was the definition of a fantastic cinema experience. What really makes this movie soar is the lead work from Steve Coogan and John C. Reilly as Laurel and Hardy. Both get all the public mannerisms just right, like Hardy’s exasperated facial expressions and Laurel’s passive simpleton tics. It’s really uncanny as Coogan and Reilly have really done their homework and put their all into it. But it’s watching them reveal the behind the scenes nature of each. Coogan splendidly dives into the brains of Stan Laurel( which ironically go against the role of lovable idiot that he was in the public image) and the underlying sadness of someone wanting to succeed, but is also bitter by events of the past. It’s the fantastic mix of humour and emotion that also transfers to John C. Reilly, whose his equal as Oliver Hardy. Reilly has this sunny disposition that’s set against the alternating feeling of fatigue and hope. The chemistry between the two works beautifully, much like the men they are portraying and paying tribute to. You never doubt for a minute that you’re witnessing two stellar performances that have great nuance. Sometimes with just a look, they say everything they need to. 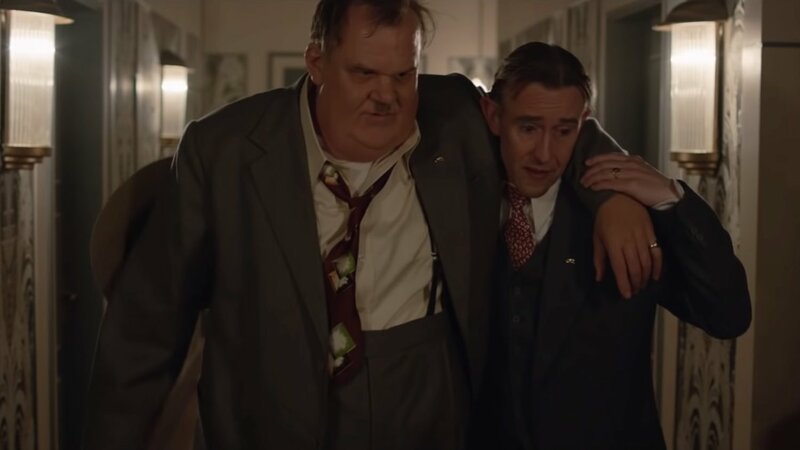 And while they form the centrepiece of Stan & Ollie, two other supporting members of the cast show they are no slouches either. They are Shirley Henderson and Nina Arianda. Both spark off the other as the spouses of the title characters, leading one person to say ‘two double acts for the price of one’. Both ladies are forceful, funny and entertaining in their own ways and they two contribute largely to the film as the supportive but firm wives. It’s excellent casting all around for Stan & Ollie. 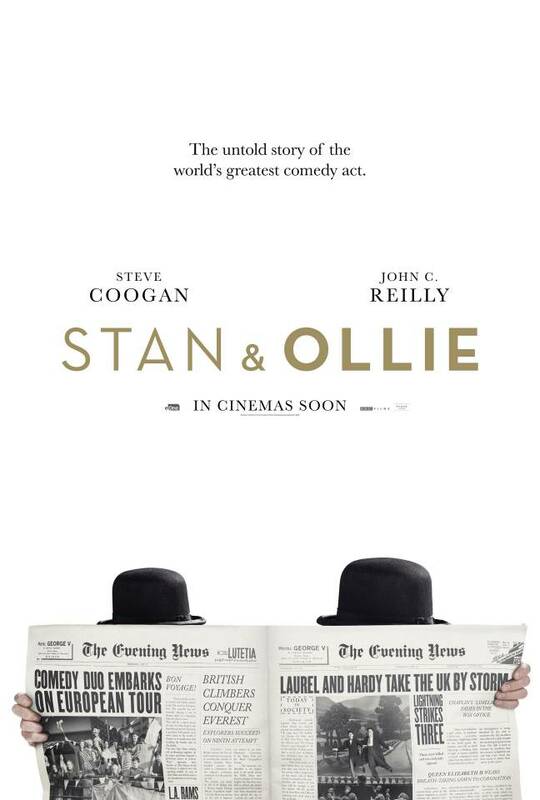 A wonderfully entertaining biopic that manages to sidestep the usual histrionics and over the top nature of the genre, Stan & Ollie weaves a warm picture that is bolstered by the spot on performances of Steve Coogan and John C. Reilly.